Traveling the world to catch Pokémon certainly falls in line with the spirit of the games, but it also costs thousands in airline fares. RewardExpert has crunched the numbers to provide Pokéfans with an around-the-globe strategy to catch even the rarest of Pokémon without breaking the bank. 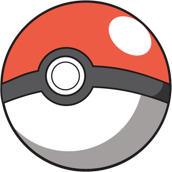 With Pokémon Go, you can experience the thrill of catching rare Pokémon in the real world. Yet the only way to be a true Pokémon master is if you catch ‘em all. Since some of the rarest creatures are only available in specific areas, real Pokémasters have to travel the world. Pokémon Go has several different rarity levels, starting with the most common and easily-found Pokémon, such as Pidgey, Rattata, and Eevee. Uncommon, rare, and very rare Pokémon are more difficult to find in the wild, but you can still hunt them down if you put in the time and throw out enough Ultra Balls. 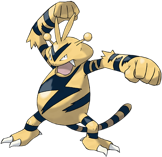 The real “needle in a haystack” Pokémon are the epic, mythical, and special creatures. Pokémon of these rarity levels are very hard to find, but they’re significantly common in certain cities. These Pokémon are listed below, along with their hotspots in the United States and abroad. We set our starting point as New York City, but our route map makes one long round trip, so you can start on any leg and end up back home at the end of it. *Regardless of your budget, we advise against flying in business class on these short-haul domestic flights, as you don’t get much additional value due to the short flight times. If you’re starting from scratch, it takes time to earn all those reward points, but you can get there faster by choosing the right credit cards. One option is applying for the credit card of every reward program within your chosen route plan. However, that’s quite a few new credit cards to open, and then you have to carefully manage your spending on each card. 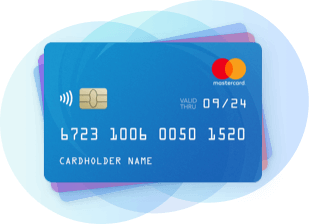 A simpler solution is choosing credit cards that allow you to transfer your points to the right reward programs without penalties. Certain credit cards even give you bonus points when you transfer your points to the right partner program. For example, although the international economy class route uses six different reward programs, you can earn the necessary points with just one credit card – the Starwood Preferred Guest Credit Card from American Express. SPG points transfer to every program in that route, and you even get a bonus for most of the transfers. Maybe you’ve already caught Dratini, so you want to go from San Francisco back to New York. For that or any other route adjustments, just plug in your starting point and your destination into the RewardExpert travel tool to see route options and their cost in reward points. If you were always jealous of Ash Ketchum, now you can live like a Pokémon trainer. All you need is your smartphone and enough reward points to go to those rare Pokémon hotspots. Which Pokémon do you need to fill out your Pokédex, and where are you going next? Sources: Pokemon type information data was collected from Eurogamer.net, and Pokemon location information was collected from the PKMN Go Trading Wiki, Heavy.com, Ranked Boost, and Vulcan Post. Flights: RewardExpert chose only non-stop flights with the exception of Paris to Budapest, which includes a stopover in London. All flights selected offered the best value by factoring mileage and additional fees.